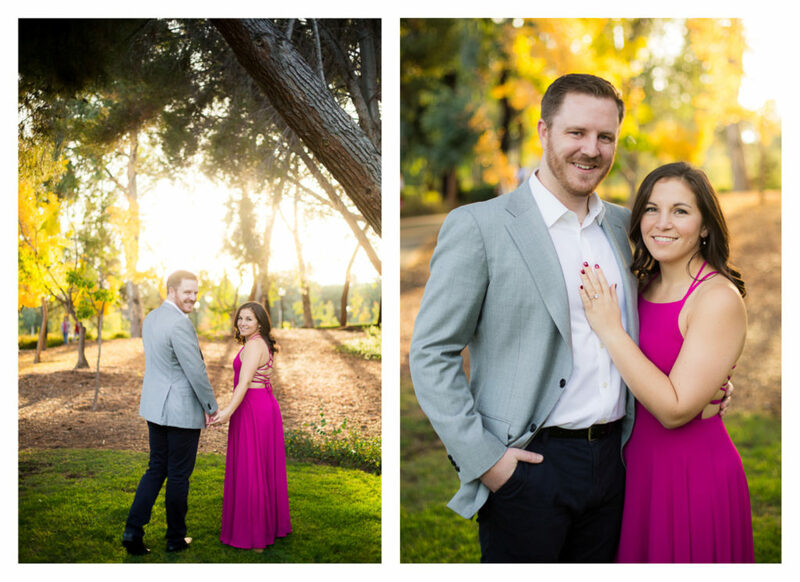 Last Fall, I flew out to California to photograph my good friend Melissa’s engagement photos with her fiance David. 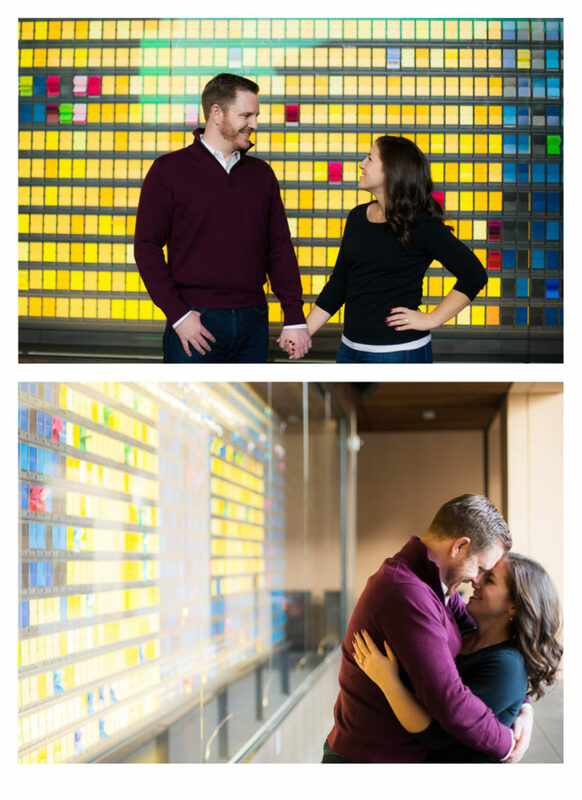 I am finally catching up on posting some of my awesome sessions from last year. 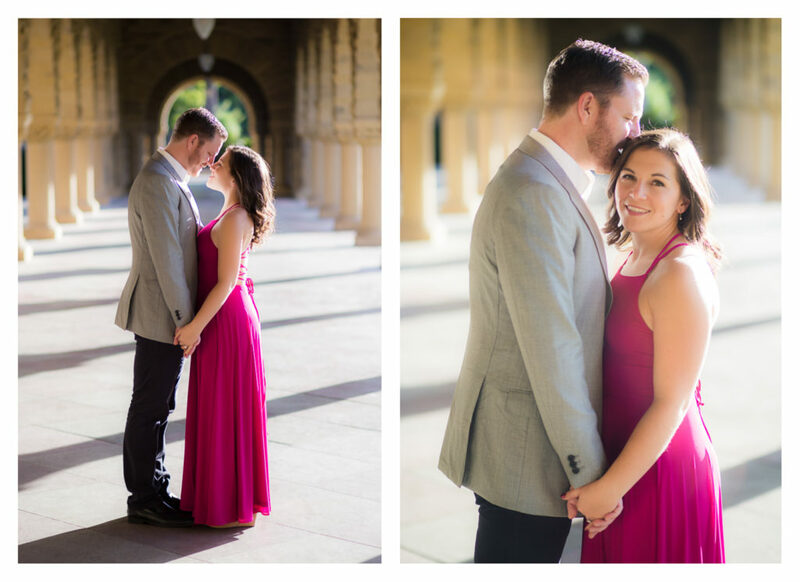 Melissa and David took their engagement photos at Stanford University. 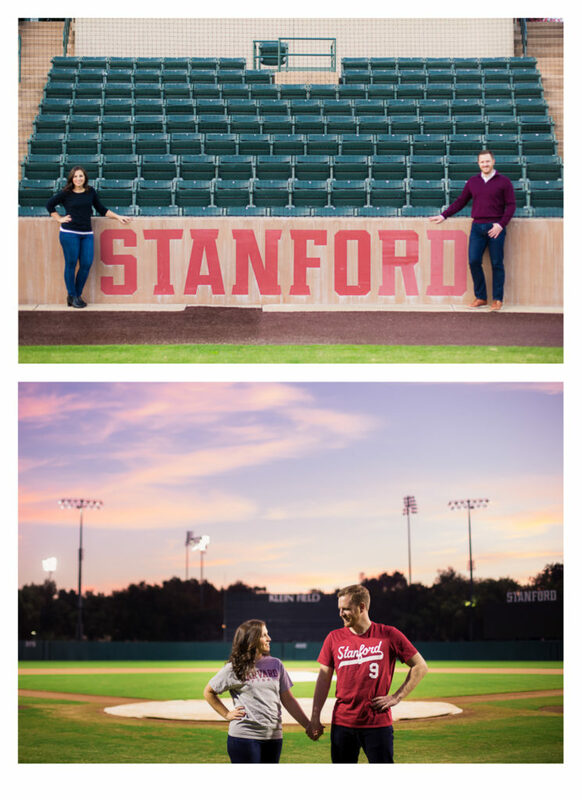 Stanford is a very special place they have in common. 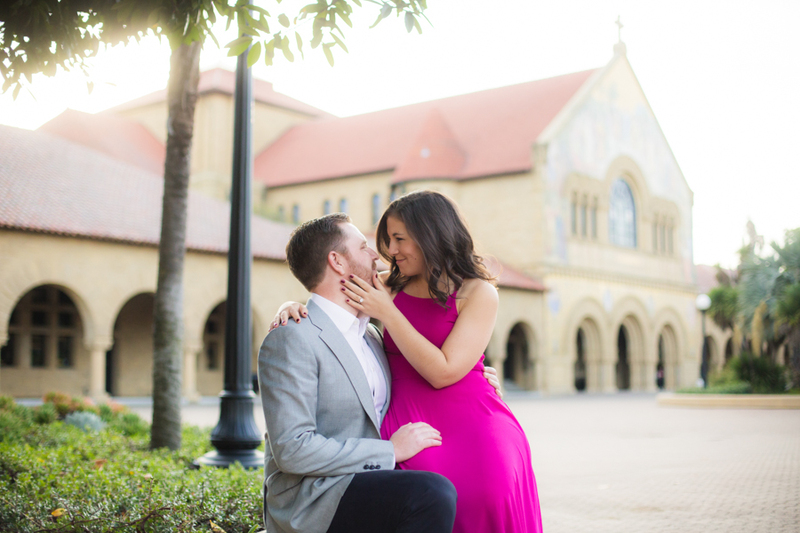 After college, Melissa moved to Stanford for a job opportunity in Stanford Athletics. 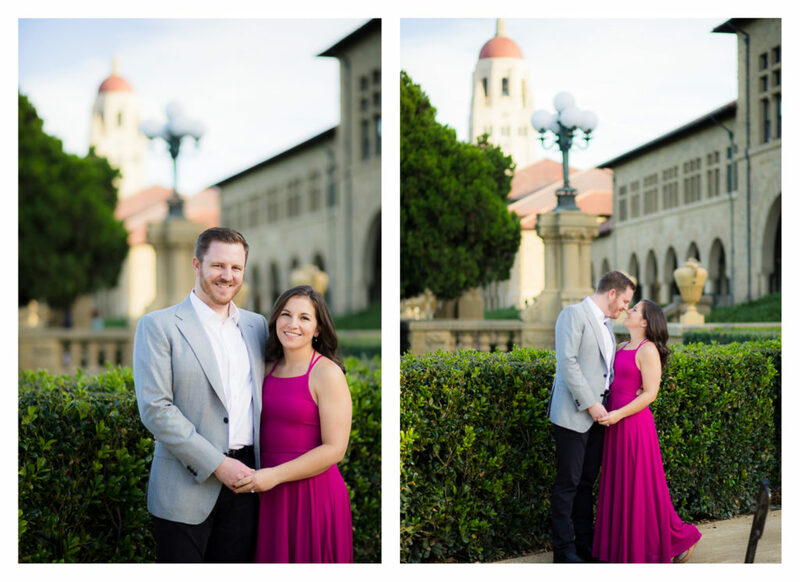 She met David who was going to school at Stanford Business school at the time, and they hit it off right away. I think Melissa knew very early on that David was the one she was going to marry. 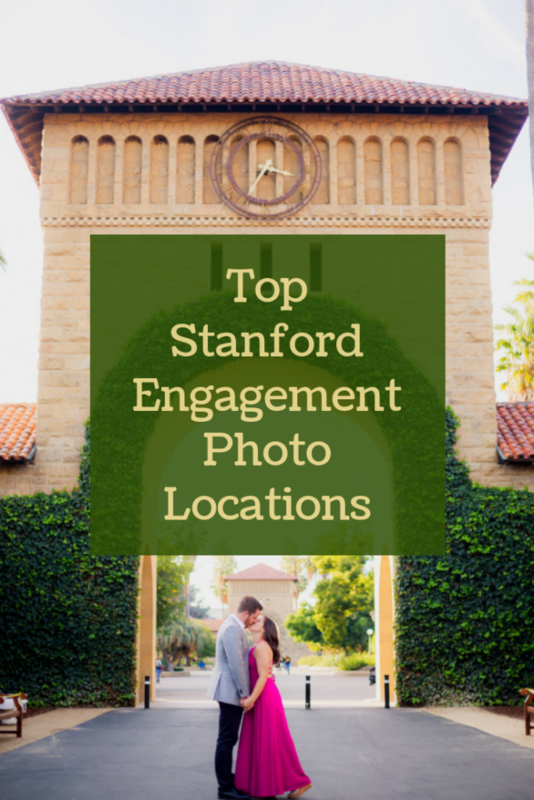 We walked all around Stanford’s Campus hitting all of the best spots on campus! 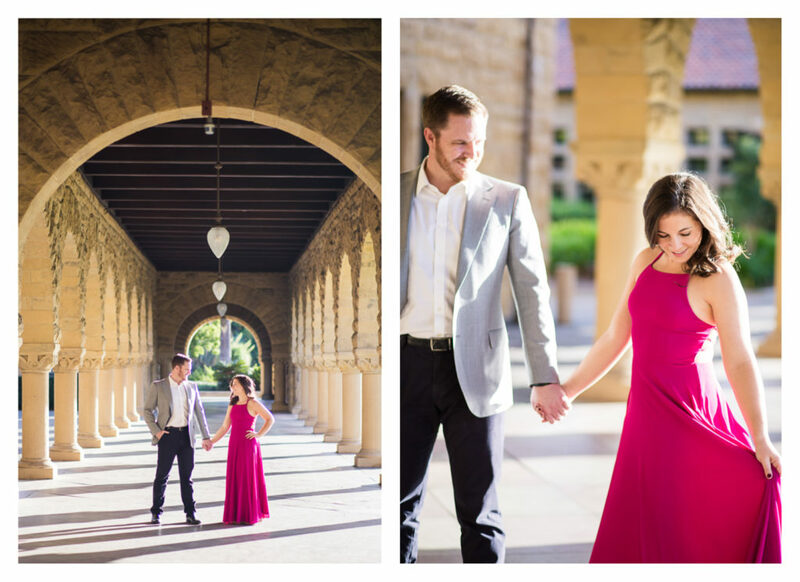 Stanford’s campus is so beautiful. I am not sure you can really go wrong there! 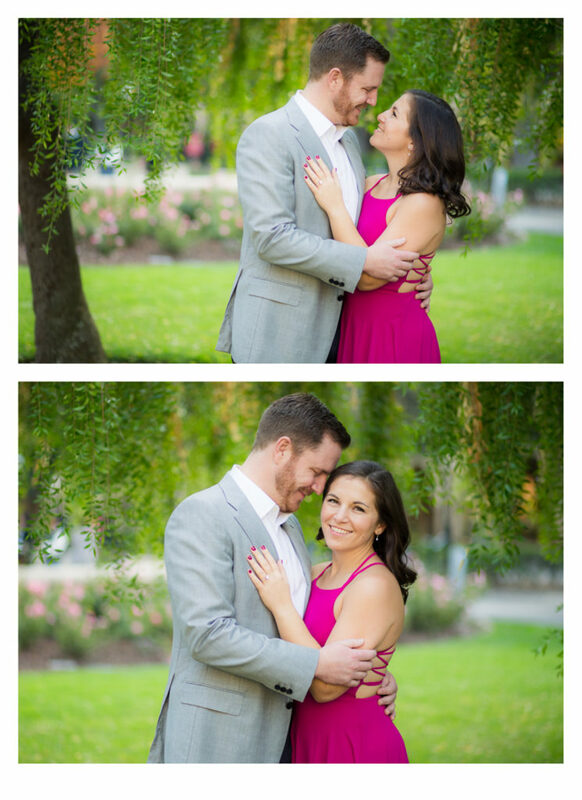 I was obsessed with Melissa’s bright pink/magenta dress! 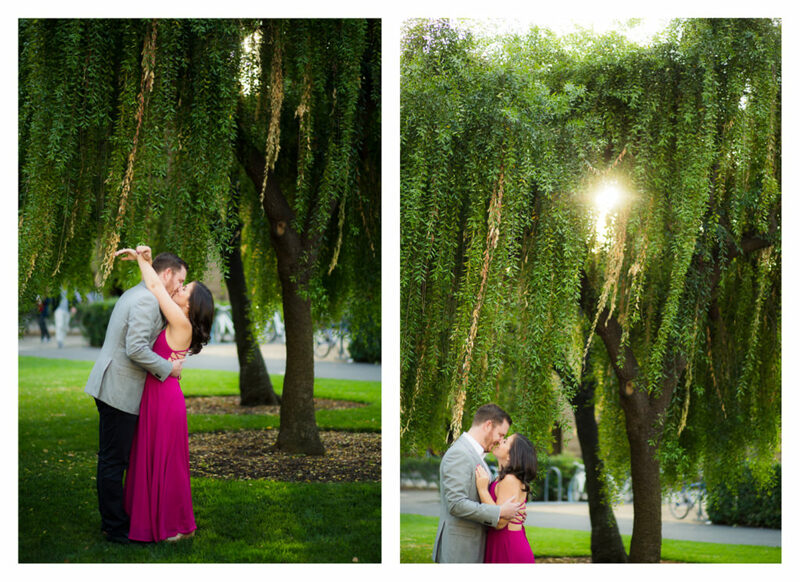 I think the pink dress really goes well with the green trees on campus too! We took the photos in October, so we were able to have a little bit of a Fall feel as well. California has pretty perfect weather, so it never really felt too hot or too cold. Since David graduated from Stanford Business school, we took some photos around the Business school as well. Any Stanford Grads recognize this wall? 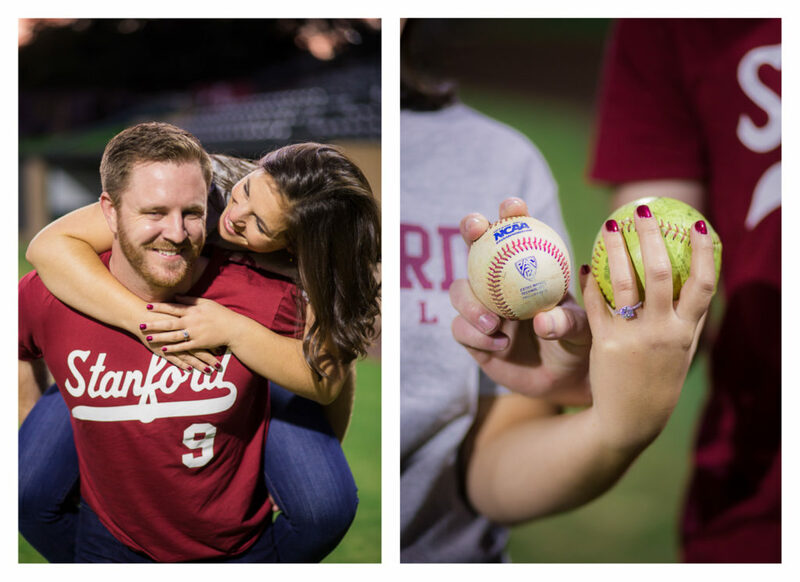 Also, David was a former Stanford baseball player and Melissa was a former Harvard softball player (how we met each other), so we took photos on Stanford’s baseball field! I think we all loved that. 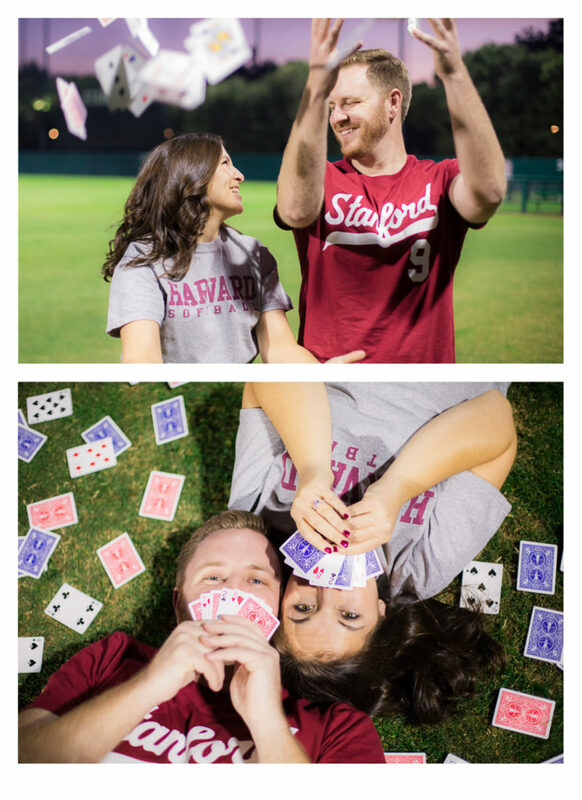 Since Melissa and David’s wedding would be in Las Vegas, they took some “Vegas-Themed” Engagement photos as well! Who doesn’t love a wedding in Vegas? Melissa and David are now happily married. 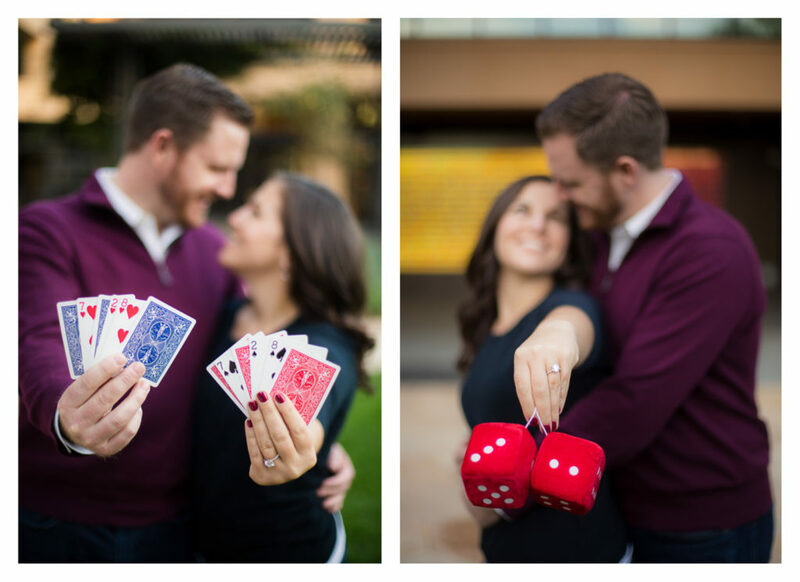 You can check out some of their Las Vegas Strip Wedding Photos here.